By Seth. 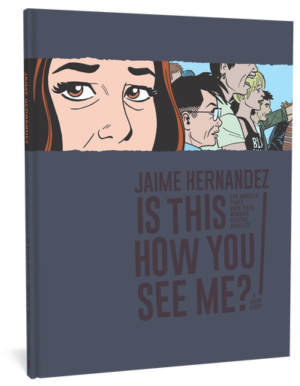 Published by Drawn & Quarterly. Various prices. Welcome to Dominion, Ontario, where the buildings and citizens are double-bricked with good ol’ fashioned Canadian humility. Dominionites are a practical bunch. They belong to cultural societies and they play bridge. They eat boiled cabbage and cottage roll during the week but also allow themselves the luxury of a pot roast on Sundays. They listen to radio broadcasts in the evening, flood their yards for ice skating in the winter, and go to mass without fail. Once prosperous but now, like so many other industrial towns surrounded by farmland, close to extinction, Dominion is a place to be filed away. While its pace of living might be described as slow by some or “old-fashioned” by others, in Dominion you are you are also just as likely to have to dodge a hail of bullets from a mad helicopter chase between comic book collectors as you are finding a deal on a good cut of meat. Dominion City and its citizens exist only in the paper worlds imagined by Canadian cartoonist, Seth, as heavily-weighted, long-in-the-toothed sketchbooks and painted and glued cardboard models. 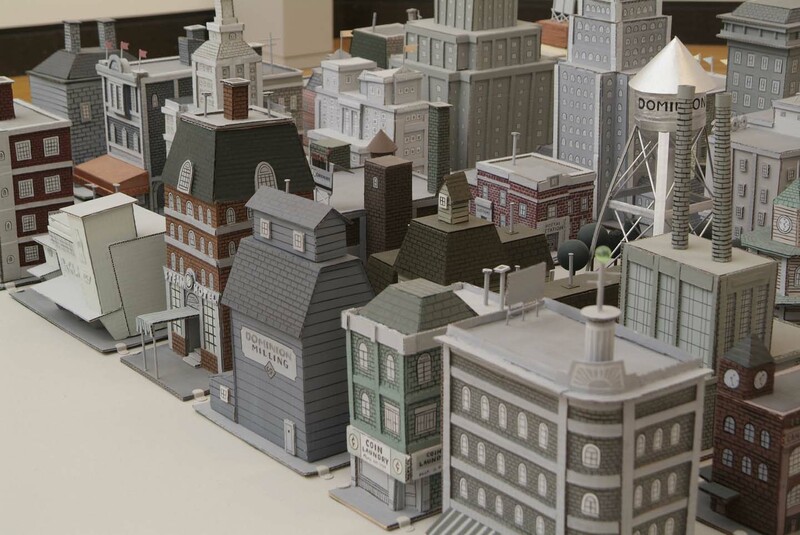 And with its delicate balance of whimsy, nostalgia and pathos, Seth’s community is well worth its metaphoric hour drive outside of Toronto because Dominion’s empty greasy spoons and dusty department stores seem to cultivate a fascinating spate of petty jealousies, betrayals, and familial abandonments amongst the larger than life personalities that populate its boundaries. Prominent and respected collector of comic books (oh, if only such a thing were possible), Wimbledon Green, was the first to merit his own history, told through a patch-work quilt of voices and remembrances from those who knew him (including, I might add, owner of North America’s finest purveyor of funny books, one Master Peter Birkemoe). 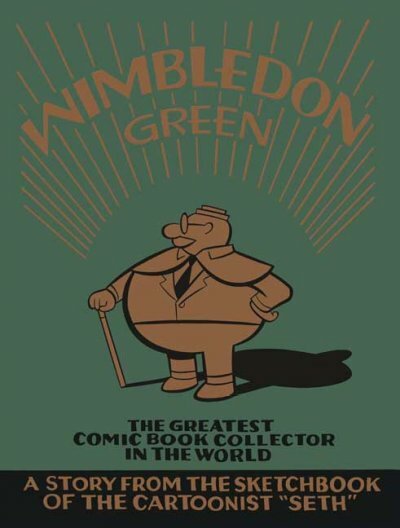 It’s a spritely universe Wimbledon lives in, in which comic books are revered and collected not only through shops and conventions, but also through the nefarious techniques and double-dealings usually found in a spy film. 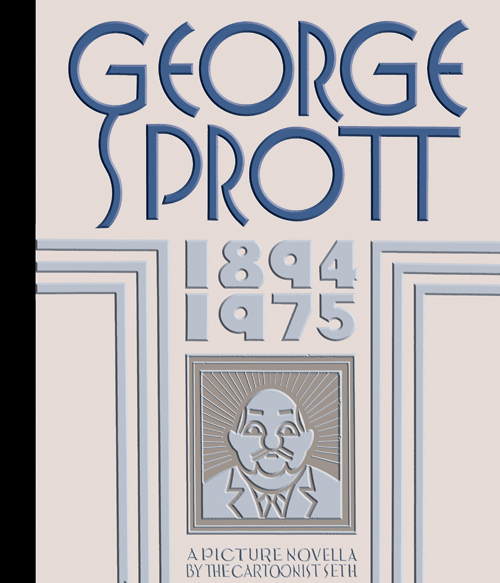 The life and death of local celebrity and cultural archivist (complete with his own decades-old heritage radio/television show), George Sprott, is documented next in a massive coffee table sketchbook following a similar “oral history” format of personal interviews and archival footage. Like everything else in Dominion, neither of these gentlemen are what they seem. Accounts of these two oddities frequently contradict each other, sometimes filled with deep admiration, sometimes heartbroken regret and, too often, rancid bitterness. The portrait that is slowly built of each is not of the eccentric philanthropists/cartoony buffoons as originally presented, but of depressed, lonely individuals that tend to destroy the lives of those closest to them with their self-delusion and narcissism. Seth is clearly also a fan of comic books and, like many older generation fans, is probably slightly embarrassed by that on some deeper level. This isn’t a personality or confidence thing, it’s just something that goes along with being a fan (like myself) from way back when it wasn’t particularly cool to like comic books, even if you made your living from them. 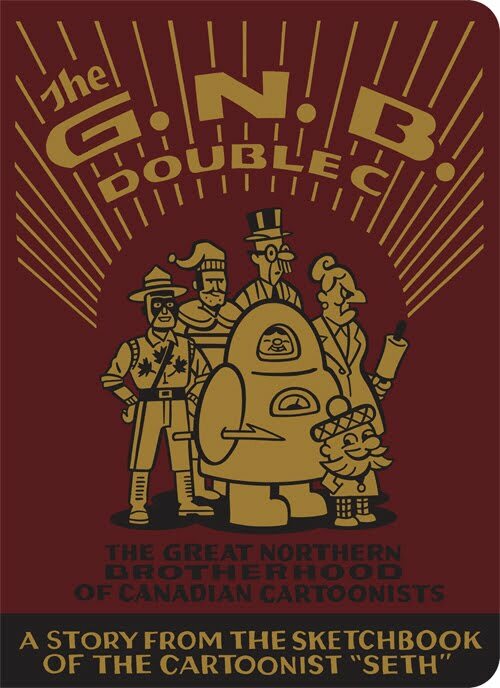 Seth recognizes this, and he explores that odd balance of embarrassment and passion that make up reading silly adventure stories with his own silly adventure stories in the most recent Dominion book, The Great Northern Brotherhood of Canadian Cartoonists. 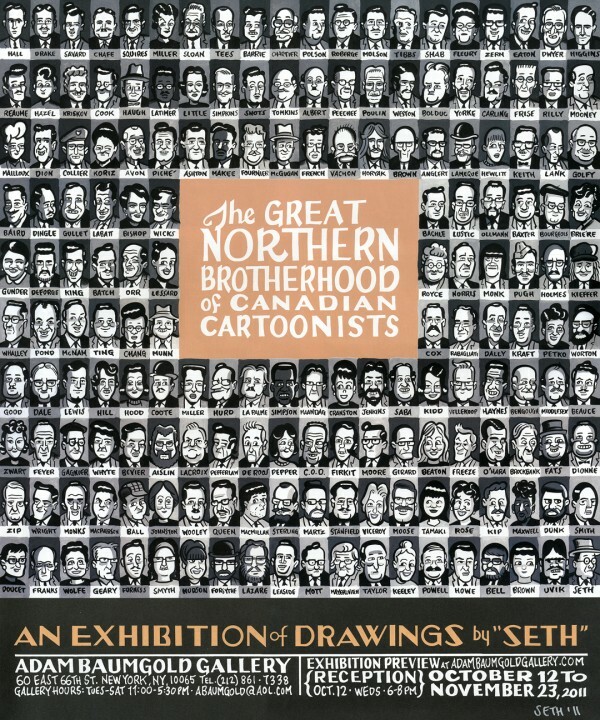 But The G.N.B Double C is not a book so much as a guided tour through one of Dominion’s most prestigious buildings – a museum/social club of Canadian Cartoonists – led by the author himself. Some of the cartoonists documented are real. Most are imagined. Most also died under tragic circumstances, often taking their own life. 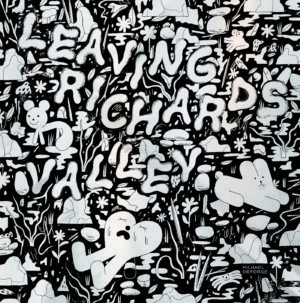 It’s a melancholic, autumnal, very Canadian take on devoting one’s life to something that isn’t always appreciated or rewarded. 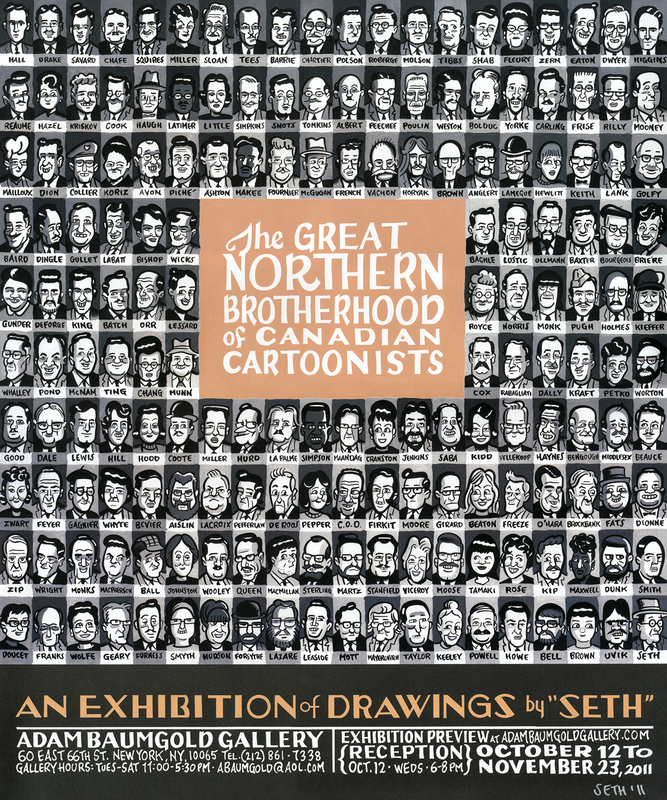 But it is also a lovely journey through the various legacies of Canadian cartooning, and the hackwork stories that these fictional cartoonists were occasionally able to forge one or two inspired pure works of art from. It’s a cinch that Seth will never win a Hugo or Nebula (or even a stinkin’ Aurora) because, even though there are spaceships in G.N.B. DOUBLE C, there aren’t enough spaceships to merit an award in the speculative literary arts. This is somewhat of a disgrace, because with the Dominion books, Seth is subtly establishing himself as a world fantasist (alternate universist…?) of the highest regard. These books are good, goofy stories, first and foremost, told with a sly smile and a gentle nudge and wink, but their worlds are also saturated with life. However, a slow undercurrent of tragedy permeates each of the Dominion stories, and when it finally hits home, something amazing happens to the reader; the books become fuller…older…more real. Dominion and its citizens are familiar enough that we recognize ourselves in their conflicts and characters, and like the very best fantasies, they make an even deeper part of ourselves wish that we could live in those worlds and meet those people, and especially read those fake comic books for real. But that is the beauty of the Dominion books. While you’re reading them, they are warm and tangy macaroni and cheese. They make you excited to settle in and immerse yourself in the rich comfort of their narrative. It’s not until you’re finished and left with that delicate aftertaste of whimsy that you realize you’ve just eaten fillet mignon. Seth: Creator of universes! Archivist of dreams that never were!